Each day there will be a standard lynch and maul, with the roles of the victims revealed in the morning. As this is a kids' show, dead players are "sent to another dimension" for thematic consistency. There are NO PMs between players this game. Communications with the GM may not be quoted. End of Day is at 11pm Eastern. Weekends will be the usual long day format. There are three special roles. Marco and Star are Humans, Ludo is a Wolf. 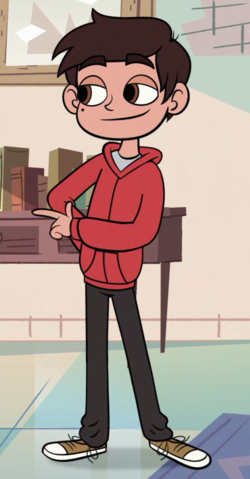 Marco is just a regular teenage kid that happens to fight monsters alongside Star Butterfly. With his red belt in Tang Soo Do karate he's ready to leap to her defense at a moment's notice, so if anybody's going to try and get to Star they're going to have to go through him first. Star Butterfly may not be lynched, mauled, or targeted with powers while Marco is alive. Star knows which player Marco is and cannot use her spells on him. 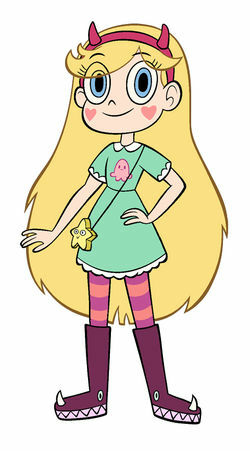 Star is a teenage princess from the Kingdom of Mewni. She's been sent to Earth by her parents in order to learn how to use the Royal Magic Wand she inherited as her birthright. She lives with Marco and his family as a foreign exchange student. Star's magic wand is immensely powerful. It's also missing half its power crystal, which is severely limiting what she can do with it. Each day, Star MUST use one of the following powers. All of Star's powers are publicly-announced daytime powers that will be resolved as soon as the GM is aware of them. Using a power each day is required. 1) Vigilante Shot - A standard daytime Vig shot. Renders the target dead. 2) Seer - Star's player publicly announces in the Day thread that she is using the Seer power and then sends the target to the GM via PM. The target's team will be immediately revealed to Star via PM. 3) Jail - Star publicly announces a target and they are immediately placed in Jail. They are immune to being lynched and mauled, and may not be targeted with night-time powers. Their lynch and/or maul votes are not counted, and they will only be able to communicate inside the St. Olga's School for Wayward Princesses forum. They will be released from Jail the next morning. Star may not use the same power twice in a row, and may not Jail a target more than once. If Star is killed, her wand and its powers are lost. Everyone knows who Star is at the start of the game. Ludo and his army of monsters have been attempting to steal Star's wand for years. He's managed to get ahold of the broken half of Star's magic wand, granting him the ability to cast spells almost as powerful as Star's. He's used his wand's powers to dress everyone up as a Monster for the Mewnipendence Day re-enactment, and now nobody can tell the difference between the real Monsters and the fake ones. Each night, Ludo MAY use one of the following powers. The spell that was cast will be announced in the morning, but not the target. Using a power is optional. 1) Illusion - During the following Day, the target will be Seered as the opposite of their actual team. 2) Curse/Bless - During the following Day, the target will automatically lose (if Human) or win (if Wolf) all ties for the lynch. 3) Buff - During the following Day, the target's vote will be worth +1. This will be visible in the final vote tally of the day. Ludo may not use the same power twice in a row, and may not Illusion a particular player more than once. If Ludo is killed or put in Jail, his wand and its powers are lost (he will regain his powers once he leaves Jail). Ludo will have an opportunity to cast a spell during Night 0. Killing Marco and/or Star is not required for a wolf victory. The Wolves simply need parity.